Bottom Line: How did this great event sneak up on us again this year? Oh well, fans in the U.S. will either have to catch the next Concorde SST flight (that ain’t happening again anytime soon) or simply wait until next year. Regardless, our best wishes go out to all of our AM friends and fans living in the UK. Have a great time, mates! 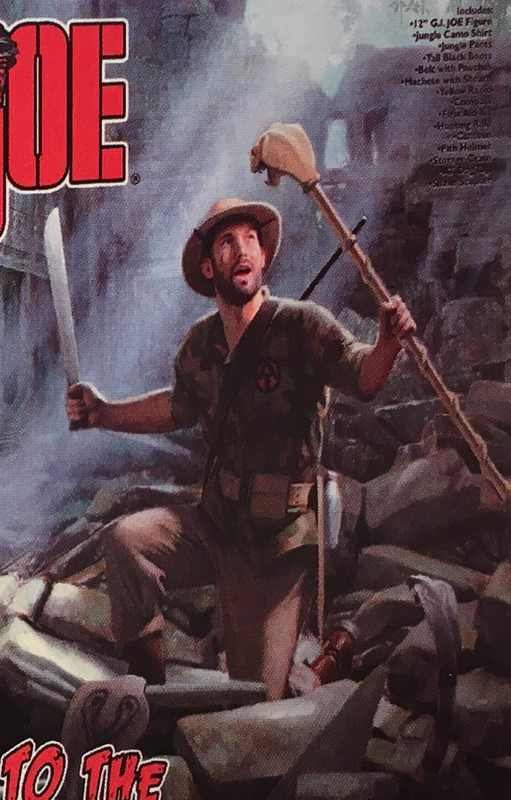 And… GO, ACTION MAN!!! Bottom Line: Just a quick update to our previous article of May 11th, 2017. 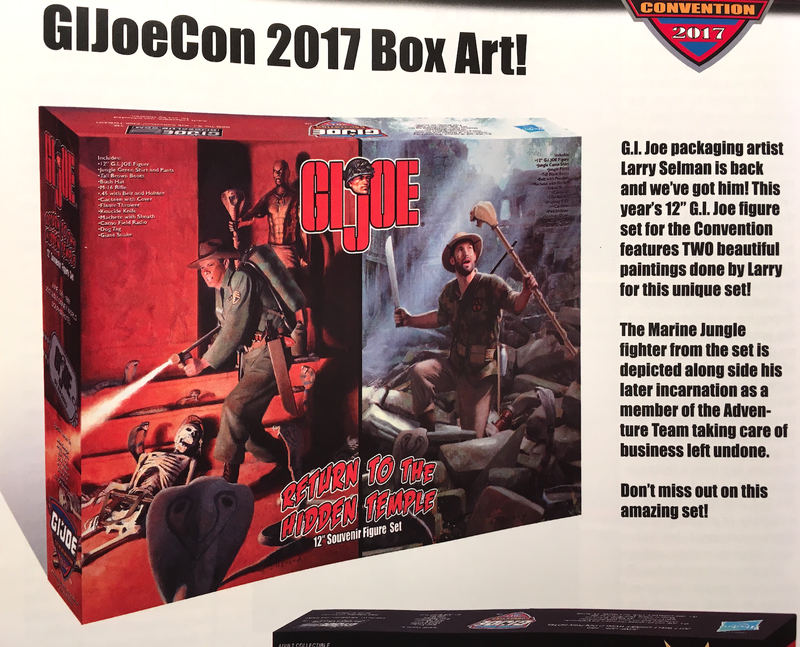 Here’s what’s you’ll find inside the 2017 JoeCon 12-inch exclusive boxed set. Surrounded by black foam, you’ll find two excellent uniformed figures (one painted-hair w/nose-picker hands and one fuzzhead with KFG grips). Both come with oodles of equipment, a giant snake, the mystical serpent’s staff thingy, a convention lapel pin and a mini-comic book (not shown). Is all this new Joe-swag worth the club’s usual asking price of $375 (for club members) or $460 (for non-members)? As the Bible revealed, snakes can be QUITE tempting to many humans. Will YOU succumb to their shiny seducements? Happy “Victory in Europe” (VE) Day! Bottom Line: The freedom-loving peoples of the world have so much to be thankful for, especially to the men and women of the “Greatest Generation” who responded to the allied call to subdue and defeat Hitler’s Nazi forces, the military might of the Empire of Japan, and all the other axis nations of WWII. Please, don’t let this day go by without giving thanks to at least ONE veteran of the armed forces. Thank you, ALL Veterans! Space Ghost 1:6 Scale Custom Action Figure—WOW! Ready for ACTION— Once again, customizer extraordinaire, Wayne Faucher, has produced a 1:6 scale action figure that the rest of the world will covet with envious eyes. His amazing new Space Ghost action figure is a spot-on, 1:6 scale masterpiece. Zowee! (Photo: Wayne Faucher) Click to enlarge. Holy Asteroids! That jut-jawed, baritone-voiced, onesy-wearing, powerband-shootin’ outerspace superhero of the 1960s has FINALLY been given the 1:6 scale “star treatment” he’s so long deserved. We’re tongue-in-cheek-talking here, of course, about the inimitable namesake character from Hanna-Barbara’s 1966 Saturday morning TV cartoon—Space Ghost (SG). As you may recall, Mr. “Ghost” (first name, “Space?”) was every little ’60s kid’s favorite intrepid cosmic avenger. 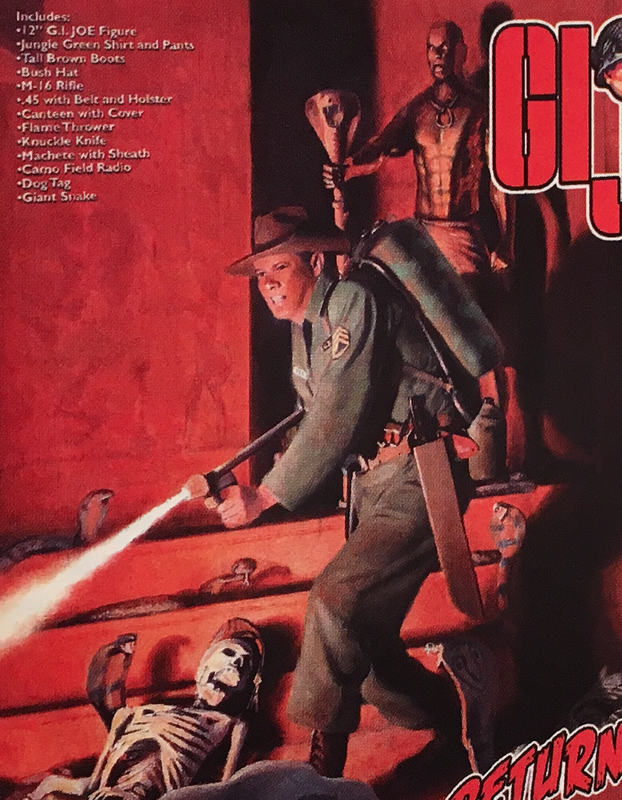 He was a true defender of the the defenseless and a battler of all things weird, sinister—and MONSTROUS. For 42 action-packed episodes, no matter how dire the predicament or struggle, Space Ghost always managed to blast his way out—and into our hearts! 51 years after his television debut, Space Ghost continues to live on indefinitely in reruns. A plethora of smaller-scale toys, action figures and other “merch” have (thankfully) FINALLY been created, and videos on YouTube will keep the beloved character’s legacy alive and well for future generations. Nonetheless, and despite SG’s obvious popularity, it remains a mystery to thousands of 1:6 scalers as to why this space superhero has never been successfully “captured” (in 1:6 scale) by any major toy company. Is this another sign of the “demise” of 1:6 scale? Custom Cartoon Perfection— As this closeup clearly reveals, Wayne Faucher’s new 1:6 scale custom Space Ghost action figure is a very accurate representation of the ’60s cartoon character. His headsculpt, figure, costume—it’s all perfect. Spaaace Ghooost! (Photo: Wayne Faucher) Click to enlarge. “I’m happy to finally have a 1/6 scale Space Ghost on my shelf. He’s one of artist Alex Toth’s most striking creations, and it’s finally been made possible with the help of yet another stunning head sculpt by the (very) talented Todd Grimes. It’s spot on, and I couldn’t have done this custom figure without him! Todd’s work can be found on Shapesways.com. Step to the Left, Step to the Right— In this side view, Space Ghost appears to be doing a “do-see-do” at some square dance hoedown. Boogie DOWN, SG! (Photo: Wayne Faucher) Click to enlarge. Close, but no Cigar— The upcoming Space Ghost figure by Mezco looks promising at first glance, but it turns out to be only in 1:12 scale or approximately 6″ tall. D’oh! (Photo: Mezco) Click to enlarge. Bottom Line: Toymaker MEZCO has announced plans for a 1:12 scale Space Ghost (see pic at right) which would come in at about 6″ tall. That’s really not going to do it for most fans of 12-inch action figures. And what’s with the evil-looking Blip figure? Why did they decide to make the little guy look like some sort of possessed primate? Oh well, we’ll continue to keep our eyes open for a Captain Action or other 1:6 Space Ghost figure, but don’t hold your breath. It looks like it’s an uphill struggle to get ANY new 1:6 figure made these days. Our sincerest thanks go out to Wonderful Wayne Faucher for all his help with this article. You sir, are ‘da MAN. Finally, here are a few more pics of Wayne’s amazing SG custom and a video clip from the original show. Enjoy! ZZAPPP!!! Get back in your volcanic crater, you mindless Lava Monster! (Photo: WEF) Click to enlarge. Courage in Profile— Todd Grime’s excellent headsculpt perfectly recreates the cartoon version from the 1960s. Out-STANDING work, Mr. Grimes! (Photo: Wayne Faucher) Click to enlarge.